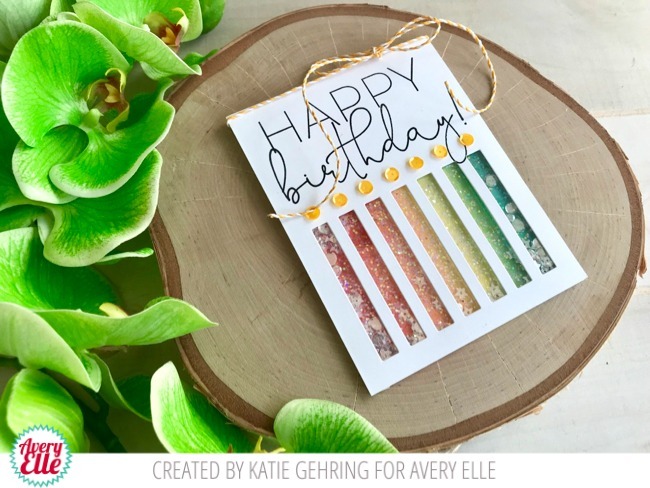 Katie here with a card and a video to share with you today featuring the Big Birthday Clear Stamps and the Focal Point Stripes Elle-ments die. 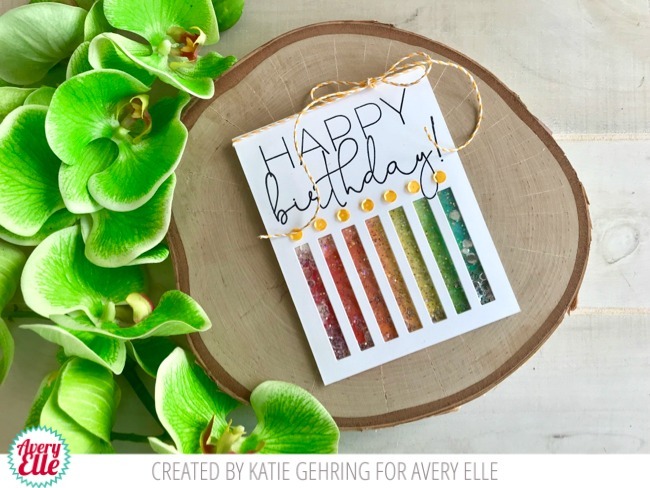 I used wire snips to separate the inner stripes of the Focal Point Stripes die from the outer rectangle and die cut a card panel using the stripes portion of the die to create a shaker window. I stamped the sentiment at the top of the card and added lots of Avery Elle's Coarse Glitter and other shiny things to the shaker pocket. A few yellow sequins transformed the stripes into birthday candles and a bit of Hemp Twine adds a finishing touch. I hope you'll take a peek at my video to see how it all came together. Sweet and simple card and such a lovely script on the sentiment. Thanks for sharing the technique video.